I’m going to be honored by the Sea Star Base of Galveston at a gala benefiting community sailing. 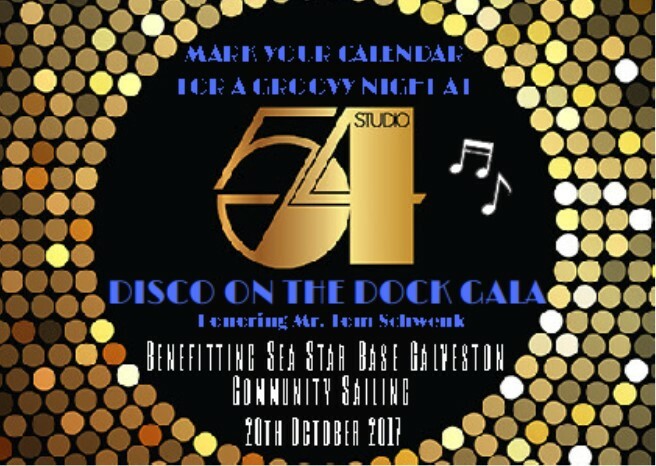 It’s going to be a fabulous night of celebration with a golden theme – “Studio 54 Disco on the Dock”. Make sure you save the date for Friday October 20, 2017. If you want more information or are interested in sponsorship opportunities or tickets please call Jeannie Janota on 409-766-0160.